King's Lynn joint-manager Gary Setchell says he is building a side that fans may not be familiar with. Ahead of its debut season in the United Counties League, the club has only six players on its books after being reformed this summer. Setchell told BBC Radio Norfolk: "It would be difficult to sign Conference players and ex-Premier League players like the club has in the past. "People have to be patient. They will be a good, young, footballing side." The Linnets are starting from scratch, under new owner Buster Chapman, after receiving a winding up order in December and may have to re-build their fan base. "When you're doing well on the pitch people come through the turnstiles. When you're struggling not so many people do," Setchell added. "King's Lynn is a terrific club and will always have supporters who will come. "Hopefully we can challenge at the top of the UCL and get an FA Vase run and get fans back into the ground." Visitors to The Walks will not only spot changes to the personnel this season, the surroundings will look very different too. The club's other joint-manager, Kevin Boon, has been making sure the club's facilities are up to scratch and overseeing the ground renovation. "Everything's being brought up to B-standard, which is Conference-standard, and there will be massive changes," he said. "There's a bright new future and a bright new look." The club suffered a forced demotion 12 months ago from the Blue Square Bet North Division to the Unibond Premier, because The Walks did not meet the league's standards. "We don't want to fall back like we have with other people at the club," he added. "We're trying to do it all before the season starts. We have a Conference standard ground and hopefully in three or four years that's where the team will be." 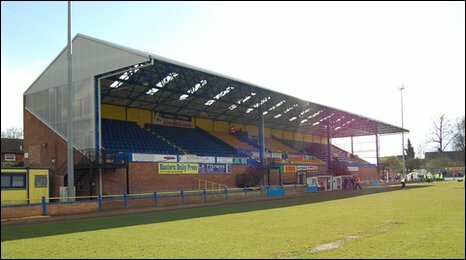 Lynn fans will get their first chance to see their new-look side and ground when Championship Norwich City arrive for a friendly on 13 July. Meanwhile, in the Hereward Teamware United Counties League Knockout Cup, the Linnets have been drawn at home to Daventry United or Bourne Town while in the reserve competition Lynn entertain St Neots, with the winners facing either AFC Kempston or Bugbrooke. There has also been disappointing news for the reserve side after members of the Anglian Combination league voted to reject their entry to the Premier Division, instead they will return to the United Counties League taking a place in Reserve Division Two.